How Far is Jaithra Towers? Jaithra Towers is a residential project developed by Jaithra Projects. 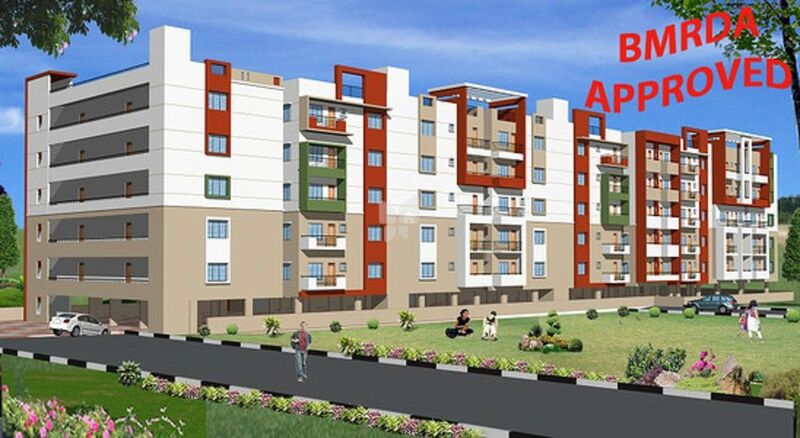 The project offers very well designed residential 1BHK, 2BHK and 3BHK apartments. The project is well connected by various modes of transportation. The site is in close proximity to various civic utilities. R.C.C Frame structure designed for Zone II regulations. Solid block walls for both internal and external. Smooth Lime redering for interior to receive OBD sponge finish for exterior to receive cement paint. Main and pooja doors are teak frame with teak shutter. Internal doors are sal wood frame with flush shutters. Windows are aluminium frame with sliding shutters. 24"x 24" vitrified VARAMORA tiles flooring(granite/marble flooring optional) or equivalent for living and dining. 16" x 16" superior quality glossy ceramic tiles for bedrooms and kitchens. 12" x 12" Antiskid ceramic tiles for all toilets. 8" x 12" VARAMORA or equivalent glazed ceramic tiles for Dadoo upto 7' height in toilets and 2' feet height above kitchen platform. 12" x 12" Matt finish ceramic for balcony. Sanitary fittings (white) Sanyo or Hindware. Granite Patform with Granite sink. one loft for storage. Provision of keeping gas cylinders in utility area with necessary piping arrangements. One T.V point and one P.H point in living room and master bed room. Concealed conduits, fire retardant wire with switches of ANCHOR/LISHA. For safety, one earth leakage circuit breaker(MCB) provided at main distribution box for each flat and intercom facility.